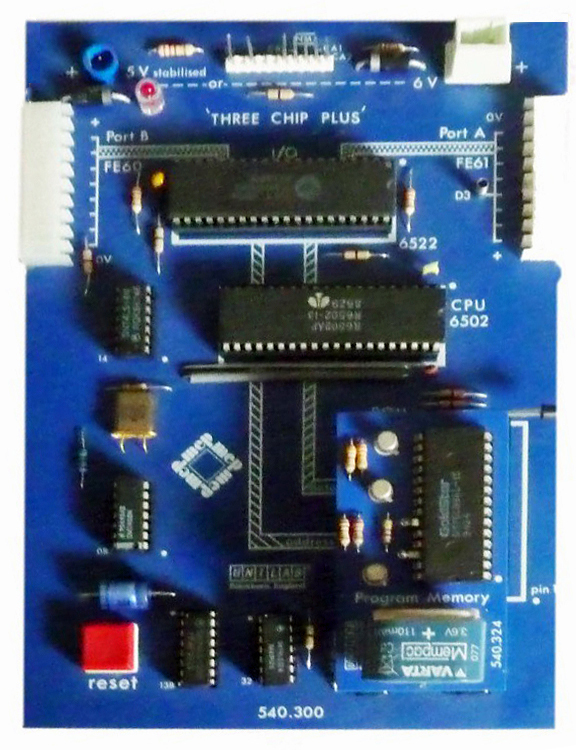 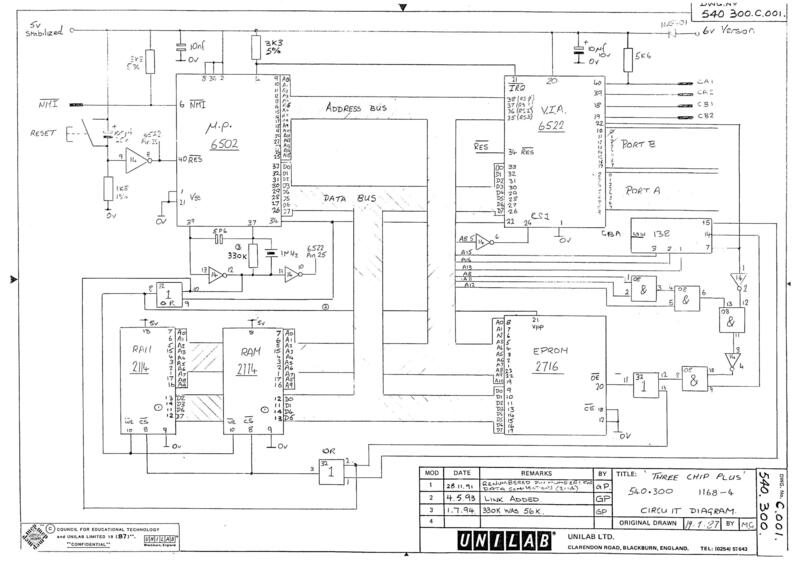 A minimal system, a 6502 CPU, a 6522 VIA, 1K memory with two 2114 RAM IC’s and a 2716 EPROM, plus some glue logic TTL IC’s, the 540.300, is the heart of a range of boards developed by Unilab Limited in the UK. 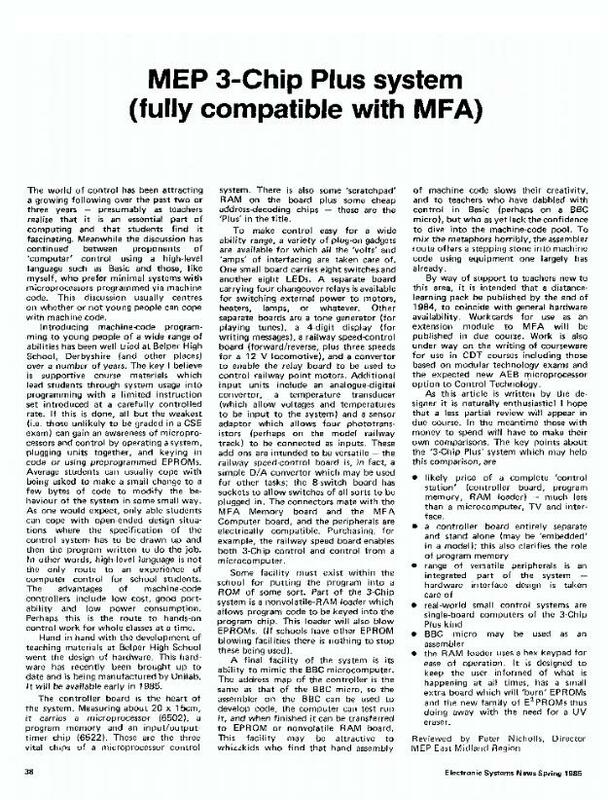 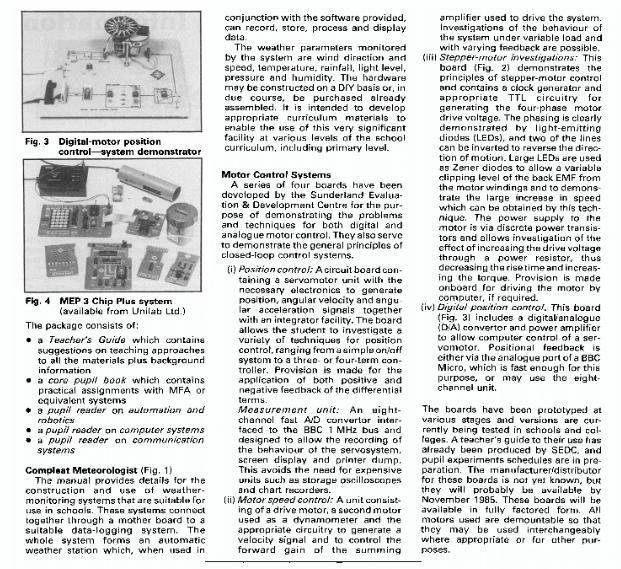 The first version appeared in 1987 and were sold to schools as educational tools. 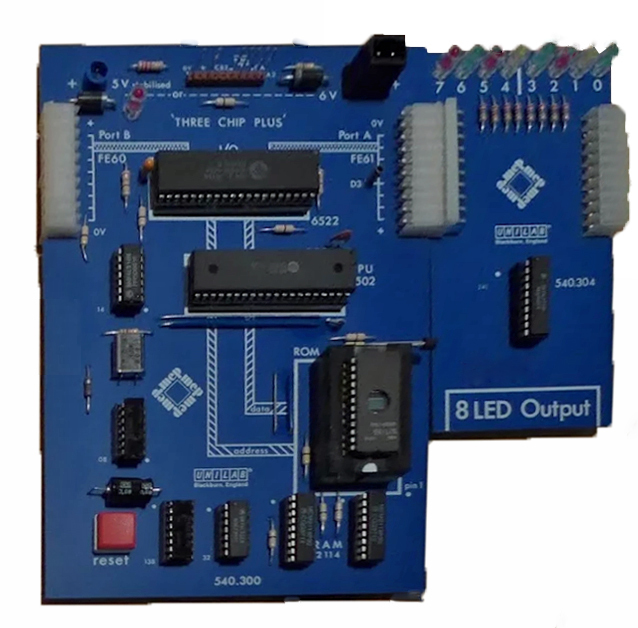 Available were also addon boards with 8 lED’s, 8 switches, 4 relays, tone generator, 4-digit display, model railway controller, A/D converter and a temperature transducer. 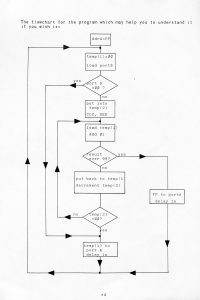 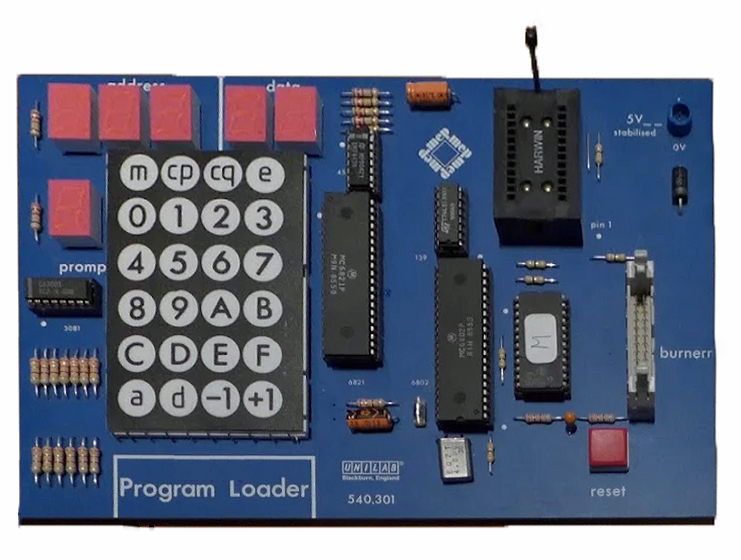 To program the EPROMs there is the non-volatile PROGRAM loader (540.301) which allows program code to be keyed in in the Program Memory module (540.302) or burned into EPROM with the additional 540.305. 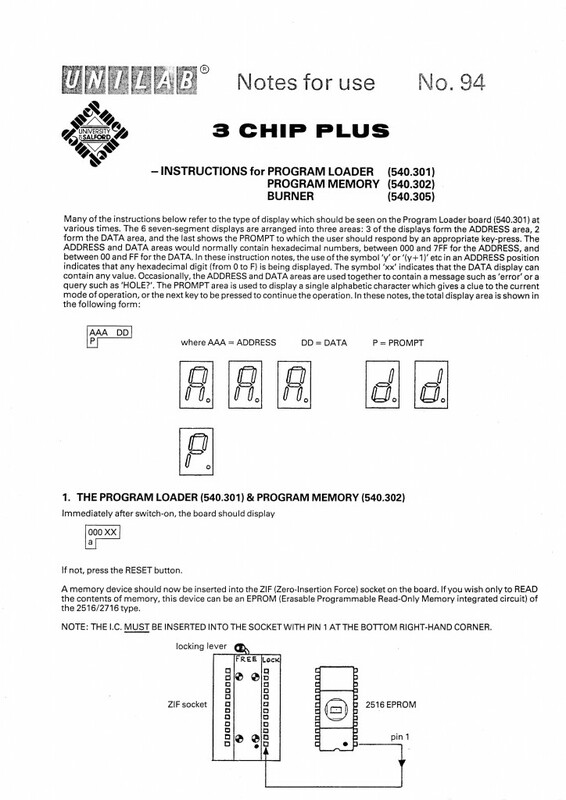 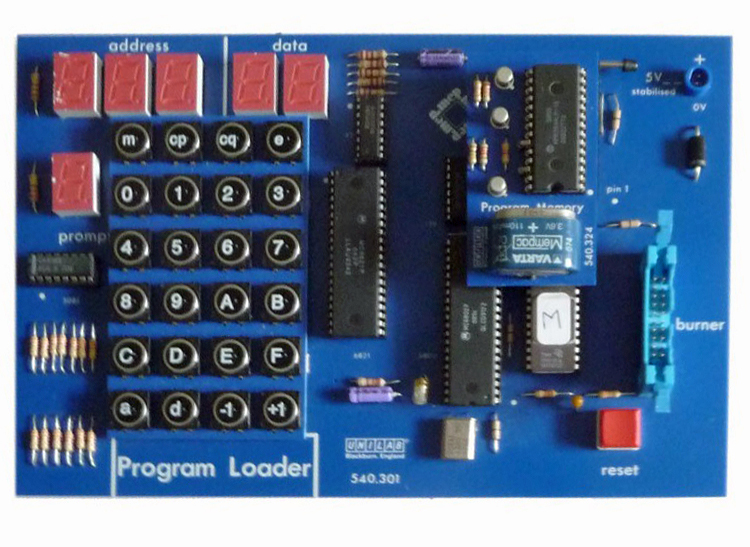 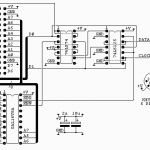 The Program laoder has an 6802 microcontroller, a hex keyboard and 6 7 segment displays. 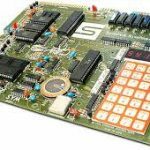 As can be seen on the photos below several revisions of this board were produced, different in keyboard technology. 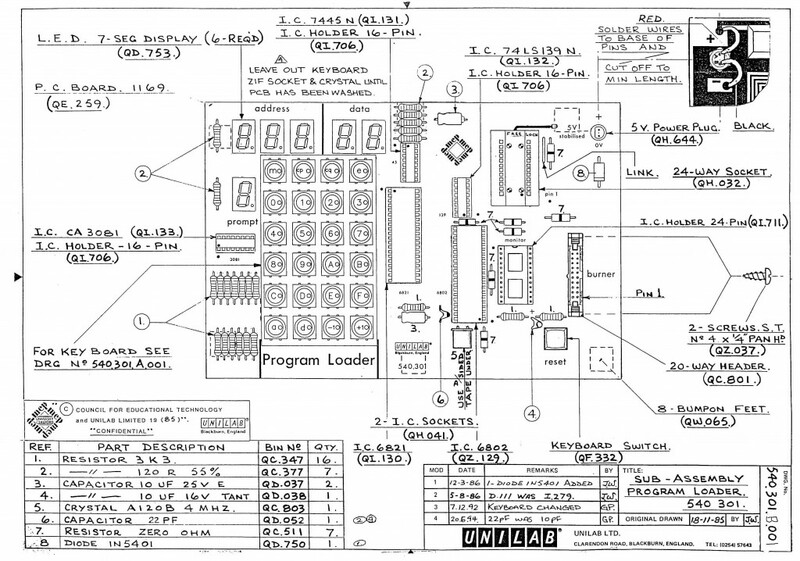 Shown in the photo above in the bottom right corner and in the photo below inserted in the ZIF IC socket is the battery backed Program Memory, a CMOS IC with a rechargeable battery.